Showcases collection of John D.Rockefeller III who founded the organization in 1956. Asia Society includes 280 objects from traditional artistic cultures of Far, South, and Southeast Asia. A selection from the Rockefeller collection is usually on view. The Museum’s web site mentions that the two floors of galleries alternate between traditional and contemporary exhibitions. Regular admission is a ridiculously high fee of $12. But on Fridays you can sneak in for Free between 6PM-9PM (September-June). Tue-Sun 11AM-6PM with extended evening hours Fridays until 9PM (except for July 1 through Labor Day). Closed Monday. 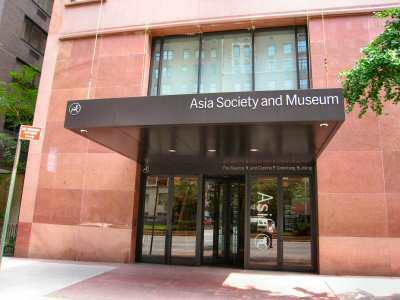 From July 1 through Labor Day, Asia Society Museum closes at 6:00PM on Fridays.